Here's the trapezoid rink edit I did for Mack in patch form if anyone wants to use it. In addition, the stick tape is applied along with the current faceoff dots, crease, net, and bench area as well with the patch. Looking at the sample attached below, the partitions from the glass have been excised to provide extra space for the zoids. Instructions are in the zip - it will not add, or alter any player | team data - it's purely cosmetic in case anyone has an edit and is wondering if it will screw their work up. A few messages have been sent to me about the patch being incompatible with wboy's decompressed roms, and the game not making it past the intro screens. This was likely due to me creating the patched file with the uncompressed version of the game. I recreated the patch using the decompressed version of the game, (as I did with the sprite animation patch) then tested it on swos's '08 edit, and saw76's 08 edit and it works flawlessly. I've updated the link to the patch above it should work fine now. If anyone uses the patch please post a message here to let me know how it works out. Clockwise, the patch is working now. Excellent job, as always! I'd like to take this opportunity to remind everybody to NOT apply this patch to the original NHL '94 rom, as the original rom does not have an altered checksum. If you are going to apply this patch to your roms, apply it to an altered rom. This will NOT work with the original uncompressed game. Though, I could have two separate patches, there's no reason to use the original uncompressed game if people have aspirations of editing logos or graphics etc. It's probably best used by adding it to a current 20XX rom, by swos or saw76 for instance. what does it mean by "do you want to apply an extra data set?" would that be to use another patch, as well? it didn't work. I suspect I was supposed to edit the crease and posts and nets first, but I don't quite get how to do that. notice, also, that the reflections of the glass dividers (yeah, they have a name, but it isn't coming to my mind, right now) aren't there where the trap meets the wall. it was an uncompressed file issue, eh? damn. It has morphed into the sprite patch. If you want the original, I can look for it later. Sprite Patch malfunction.JPGReally wierd, is when I used the Sprite patch to modify Skip's 2015, it worked perfectly, but when trying to patch other Roms(such as CanadaCup1994 or any of the "Charcoal Puck" Roms), I get a strange pixelated Goal crease. For reference, Im looking at the genesis version and I'm a noob at game/hex hacking. My goal is to do some simple hacks like changing uniform colors, team names, and updating to a more modern look on the ice (hence why im trying this patch). My process is 1) download the genesis bin file from this site, 2) follow the instructions on this site to fix the checksum error (so the game is playable after I make edits), 3) apply this patch according to he instructions in the zip. After I do all that, I get the weird pixelated goal crease too. What am i missing? I know there were some posts about an uncompressed version, but I dont quite follow what that means or what I need to do to incorporate this patch into the rest of my edits. Any clarification would be much appreciated! Don't mind the site. Those instructions are outdated. You can look around on the forums to find newer guides that are also more efficient. Get wboy's 30-team ROM and apply the sprite patch to fix your problem. Note that this ROM has the 30 teams that played in 2005 and no real players from NHL '94. 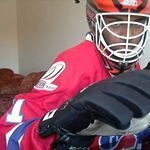 Why is pixelpuck.com no longer working ? And I need the trapezoid and stick patch to do an AHL' 18 Mod ! Ah, sorry I'm not on a computer right now that has any of the sites files. In the process of launching a business and decided to switch to dedicated hosting. There isn't anything I can add to those sites, either.